Lift is our weekly College and Young Adult service, happening every Thursday from 7-9PM in the Reality Center. Expect music, a good-sized group of people, and a powerful Bible-based teaching. It is an awesome time to come together as a big group, meet new friends, and to learn about God with the whole community. Lift is a group of college-age and young adults, reaching out to their generation through small groups and weekly gatherings. Café Lift is one of many ways to reach out. It is a monthly gathering which meets on the second Wednesday of the month from 8-10PM for an open mic night. This is a platform for the Holy Spirit to move through the creative giftings of the young adults in music, art, or spoken word to touch the hearts of the lost. There are many ways to plug in, let us know where you fit in! 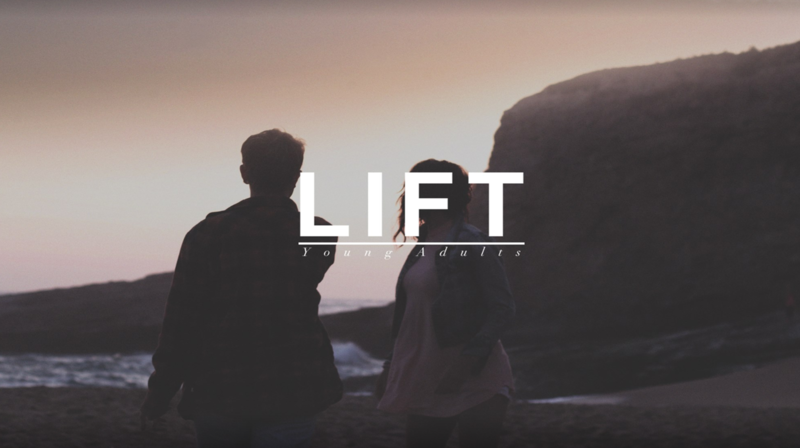 Lift exists to be a college & young adult community that glorifies God by seeing love transform lives through intimate discipleship and creative outreach.